Really look nice, texture is very attractive. 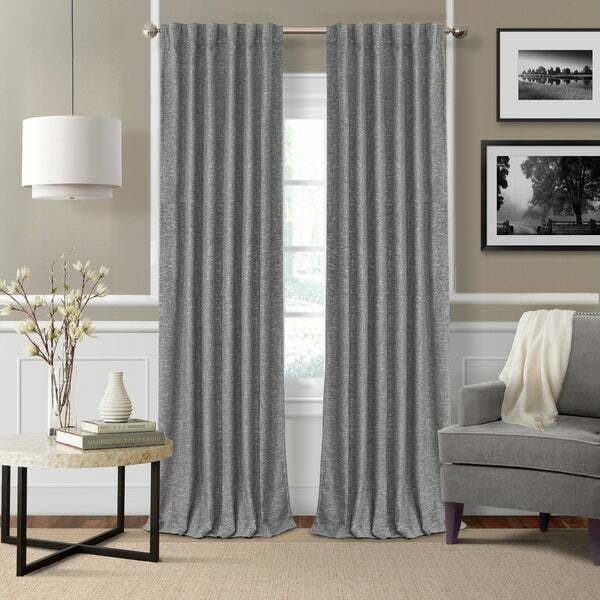 Save energy and maintain the temperature in your room with this Lined Blackout Curtain by Strick & Bolton. Extra lining along with a heavy-weight fabric help insulate the room and prevent damaging UV rays from fading your furniture or counteracting your cooling system. These can also be hung using a rod or rings to achieve the aesthetic you need to perfect your room. 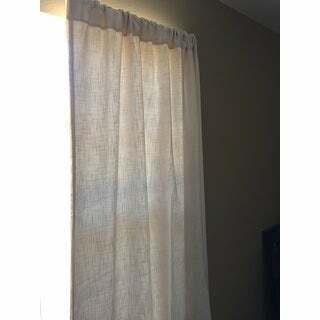 These curtains deserve 5 stars! I love everything about these curtains. I took a chance on ordering them because they had no reviews, but I couldn't find anything else that I liked. I purchased the ivory. They have a silver silky lining on the back which even in ivory blocks out a lot of light. My room stays pretty dark not to be confused with totally dark. The color is a nice ivory not yellowish and they have a bit of texture which I like. Very soft cottony feel. The picture below was taken around noon. It took me months to choose curtains for my boy/girl twin nursery, and I made the wrong choice. They are not even close to blacking out the sunlight...even with closed blinds behind them, the room is bright. The curtains hang funny...I think the right word to use for them is: Frumpy. I bought them in the beige. I bought 6 panels and did find variation in shade lot. Fortunately I was able to place them so it is hard to tell the difference. Heavy and offer some insulation. I'm happy with them. These have a casual look that I love. "do they blockout light fully or are they room darkening curtains?" They will reduce light and energy bills, but not fully. I bought the ivory and they are lined with a silky, silver fabric. It’s not like the room is pitch black but I am pleased with how much light they block.